In 1973, a new jazz club called "Misty" opened its doors in Tokyo, and young Tsuyoshi Yamamoto became its "house" pianist in January 1974. 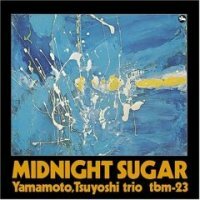 TBM producer Takeshi Fujii fell in love with Yamamoto's bluesy and lyrical playing, and decided to record his trio's first album. Recorded in March 1974, this album would become the "most exported" of all TBM titles. Beloved by jazz fans all over the world, this disc captures the trio's brilliant performance in superb sound quality. Don't miss out on this opportunity to add this very rare, limited edition Blu-spec CD to your collection! Produced by Takeshi Fujii. Recorded at Aoi Studio in Tokyo on March 1, 1974. Blu-spec CD is compatible with all regular CD players. Paper sleeve special limited edition.